Experience cost savings and greater control in the hospital environment. Our Readicurtains are long lasting and durable and incorporate the Readicurtain hanger system making them tough enough for even the most demanding locations such as emergency rooms. Plus Readicurtain hangers extend down to ease installation, no ladders or stools required, a great choice for environmental service employees making their job easier and safer. Whatever your needs or location Readicurtains convenience and cost savings make them the best choice for administering your infection prevention & control requirements. 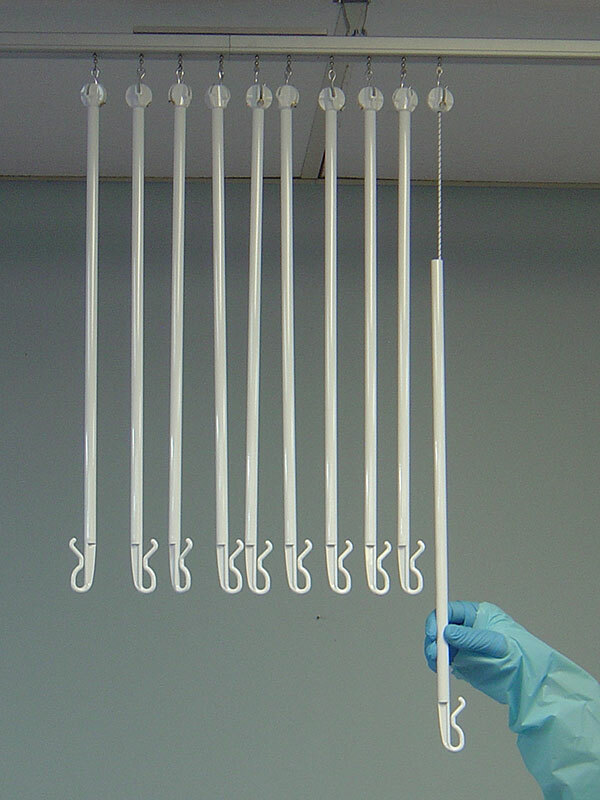 Readicurtain hangers extend down for ease of installation, curtain durability and tear resistance.